St Agnes Museum welcomed Year 5 from St Agnes Primary School to the Museum as part of their studies into local mining and mass migration overseas. 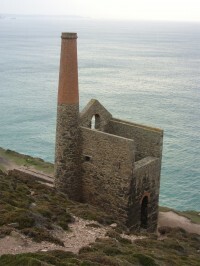 The students were deciding whether they would have emigrated from St Agnes when the tin price collapsed. Liz Thompson talked to them about some of her ancestors who had migrated with very different outcomes. The following week Liz Thompson and Carol Morgan visited Year 5 at school to tell the story, written by Carol, of Eliza Cowling, Bal Maiden, and her first days at work. The children were very enthusiastic and had many questions to ask. They were a pleasure to be with.